Wonderful! My first by Anne Gracie, and I'll read more. I couldn't put this one down. (Seriously, I left work early and cancelled a dinner plan to finish this one.) I can't believe I haven't read this author before as her writing style is awesome. This story is an emotional story with both sad and happy tears, so beware. 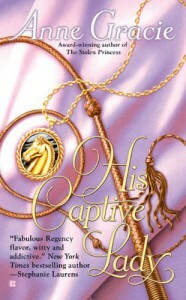 Fans of historical regency romances will love this one as it goes for the heart.